The master bedroom and walk-in closet pair with a spa-inspired bathroom to create a master suite that exudes relaxation and pampering. The tray ceiling and crown molding in the master bedroom draw attention upward making the room feel lofty and spacious. A fireplace adds ambiance, soft lighting, and warmth to the space. Finally, the ample closet features plenty of storage. This master suite is part of a new custom home design by Harrisburg Kitchen & Bath Designer Andrea Woodall. 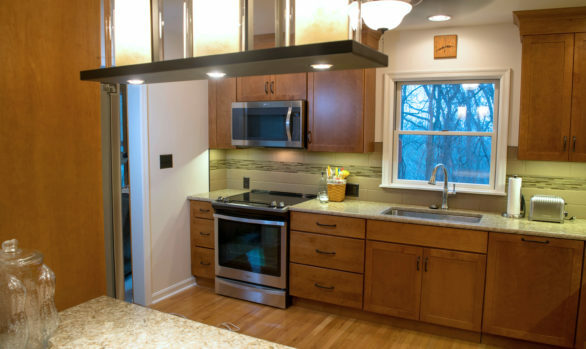 See the Light-Filled Custom Kitchen Design here.